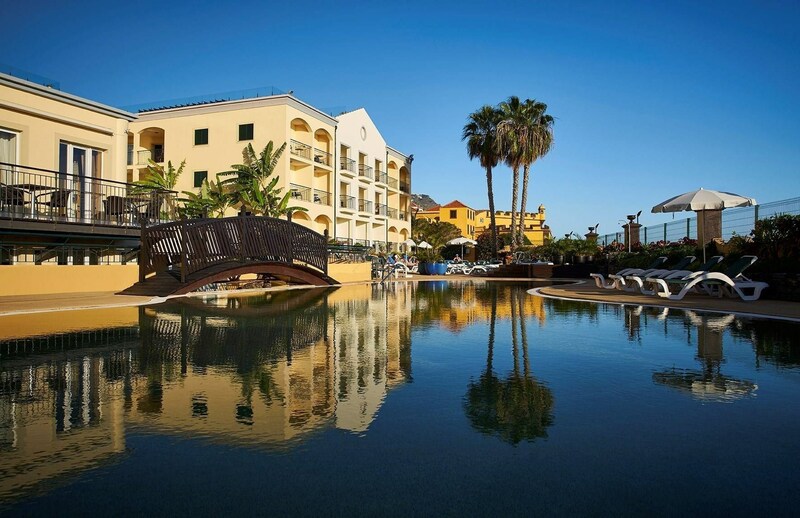 The seafront location of the Porto Santa Maria hotel, in the heart of Funchal’s Old Town, together with its 2 pools, spa, gym, and 3 jacuzzis . .. creates genuine urban calm. The outdoor pool, with views of the cruise ships and with the sea so close, makes for an exclusive setting. The indoor heated pool complements the outdoor pool on cooler days . ..
3 JACUZZIS: 1 indoor and 2 outdoor, one on the hotel rooftop . ..
With two treatment rooms and a sauna, you will find a wide range of programmes and rituals to enjoy moments of relaxation. Facial, body, wrap . .. and a variety of oriental treatments. You can also opt for aesthetic treatments such as a manicure and pedicure.